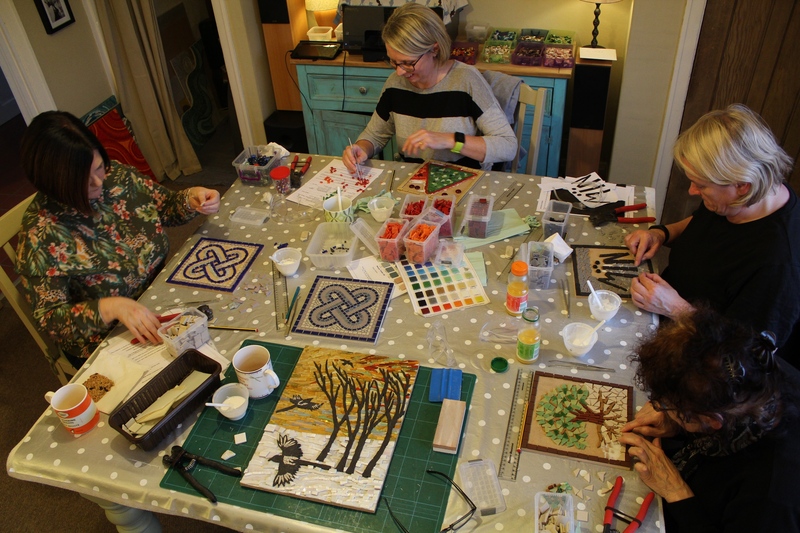 My fun, friendly and informal mosaic workshops takes place at my home studio in Huttons Ambo, near York, North Yorkshire (set in the Howardian Hills, an Area of Outstanding Natural Beauty – and overlooking the stunning Yorkshire Wolds). Huge choice of designs and materials. Full instruction and help provided. Create a 22 cm sq mosaic plaque in a day!